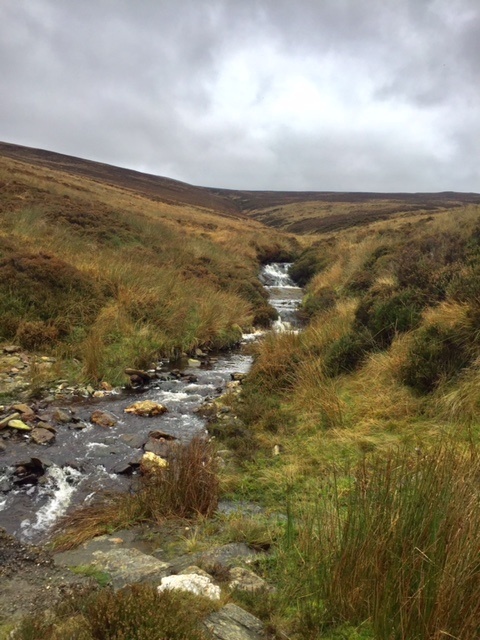 This entry was posted in Uncategorised on 24th October 2017 by geoffreyboot.org. 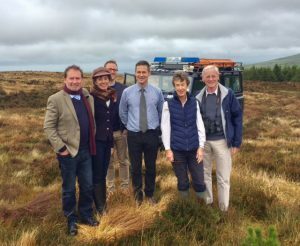 After a busy morning time to visit the DEFA upland estate and explain some of the intricacies of wildlife and upland management to the Lieutenant Governor and his wife Lady Gozney. This entry was posted in Uncategorised on 23rd October 2017 by geoffreyboot.org. Our first Tynwald sitting of the new parliamentary session. A daunting order paper with 44 items, combined with a question paper with 68 questions with 31 for oral answer. My department had five in total, two for me directly concerning progress with regard to Registration of Buildings and in particular the Nunnery and three for the Office of Fair Trading Chairman and department member Martyn Perkins regarding Manx Gas. The first item of business on the main order paper of questions was the Chief Ministers state of the nation address. I have posted that elsewhere but it was an uplifting speech that quiet fairly flagged up the cooperative feel of working together within Tynwald, the Programme for Government and aspirations for the future. There was a robust debate around Services for children and young people and the management of case files and relationships with service users report and quite rightly so. There have been some failings in this respect and as we heard during the debate matters have improved significantly and progress continues. The Civil Service Structural Review was passed which means that a random selection of posts will be dip sampled to determine with a general review of the size and structure of the Isle of Man Civil Service. I am also pleased to say that the living wage report was accepted and that we will in future be establishing a living wage, which is a complex calculation that is calculated using a number of factors and is higher than the minimum wage. This will not be compulsory but it will give something for both government and private employers to aim for. In the future this will be calculated externally and reported on an annual basis. Good news for the MUA, Tynwald received the long term financial plan which among other things allows Treasury to write off £95 million of historic loans. It’s not actually a write off, it just moves the debt from the MUA to central government. Consumers will be pleased to hear there will be a freeze in sewage rates and water rates for the next year. 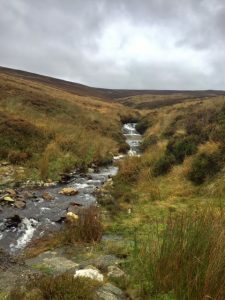 Whilst Manx Utilities bring forward a new pricing strategy for electricity, sewage and water charges that more accurately reflect the cost of delivery. This will ensure the continued financial stability of Manx Utilities and meet debt repayment schedules. Unfortunately the Function of Tynwald Select Committee debate didn’t take place as Mr Speaker was ill. This will be carried forward to November. I have served on this committee and have some fairly strong views on where we should be heading. The motion to extend the sittings of Tynwald and Keys, through what is in essence the recess period at the moment, was defeated as many members pointed out during the debate that while there are no parliamentary sittings during the August/September period government business continues, as does parliamentary business. In fact there are frequently more Select Committee sittings – I know from my own experience within the department that not having to prepare answers to questions and with other governmental matters that require parliamentary time during that period enables a consolidation catch up of the backlog as well as a holiday. We finally finished at around 9.30pm. A long day but one that was productive and with debate that was conducted in good humour. This entry was posted in Uncategorised on 19th October 2017 by geoffreyboot.org. Congratulations to the Chief Minister on delivering what one member describes as a barnstormer of a speech, summing up our first year and looking to the future. Morning – attempted to leave our house for DEFA St Johns only to find a large tree had fallen halfway down our drive. Well beyond my capabilities! I arranged for a lift to St Johns and fortunately one of our neighbours who is very proficient with a chainsaw managed to cut the tree up and free up the drive by late morning. This was even before the storm properly started. Morning meeting with IOM Creamery representatives to discuss whey disposal followed by CEO catch up and preparation for Tynwald on Tuesday. Pleasant coffee/newspaper morning in Dalby. As always some interesting rhetoric and observations particularly with regard to Tesco’s, ShopRite etc regarding local meat. I was able to put right a few misinterpretations and hopefully add some clarity to the overall picture. Lunchtime – St Johns Mill, an interesting exhibition from Ashley Cooper, Global Warming Images, some super photography with a serious message www.globalwarmingimages.net. Joint political surgery with Ray Harmer at Peel Town Hall in conjunction with Peel Commissioners. I always approach Friday 13th with some trepidation, although I am not really that superstitious, however the day passed without known implications. Early morning meeting at Tynwald for pre-budget discussions with senior officers. Later morning meeting with Treasury Board to discuss implications of budget for my department. Late morning meeting with an Eco Home supplier looking at energy efficiency which sits well with our energy efficiency scheme being developed in DEFA and also modular building. 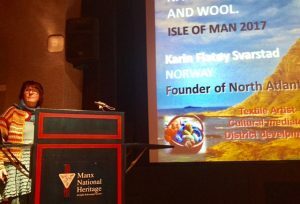 In the evening attended the seventh North Atlantic Native Sheep and Wool Conference launch at the Manx Museum Lecture Theatre. Nearly 150 people from all around the world with great enthusiasm promoting the value of native species. 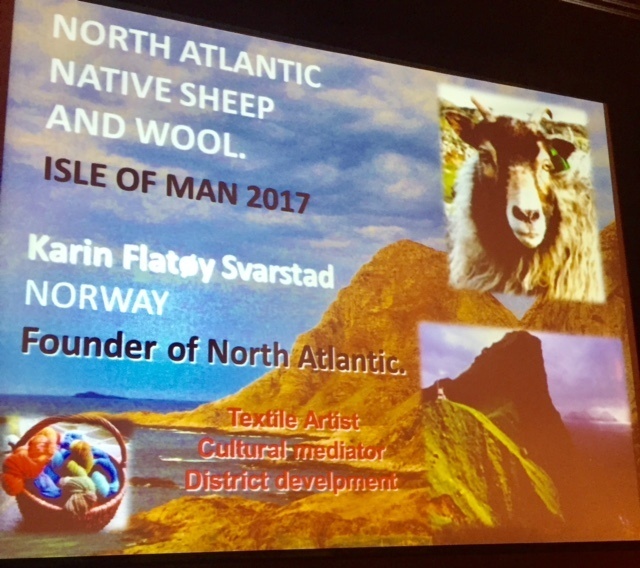 An excellent presentation on our own local sheep, Loaghtan, that have come back from the brink. 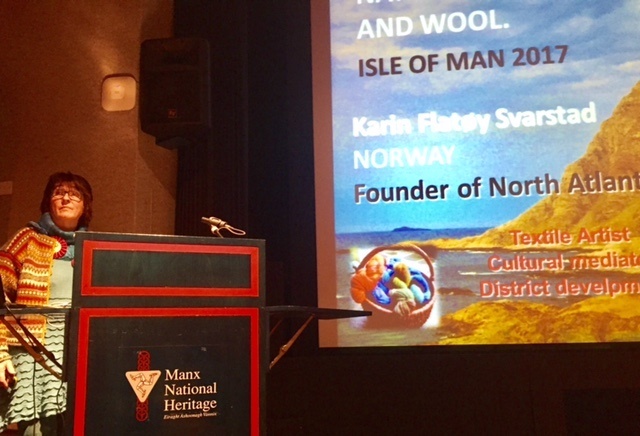 The conference runs with events through until Sunday and is sponsored in part by the Arts Council and Culture Vannin among others. 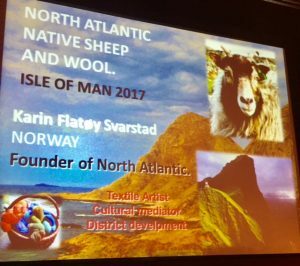 Karin Flatoy Svarstad, the founder, is very motivated and I am sure the event, hosted annually by different counties will not only raise interest in native breeds and value their wool and meat but grow commercial interest. This entry was posted in Uncategorised on 13th October 2017 by geoffreyboot.org.